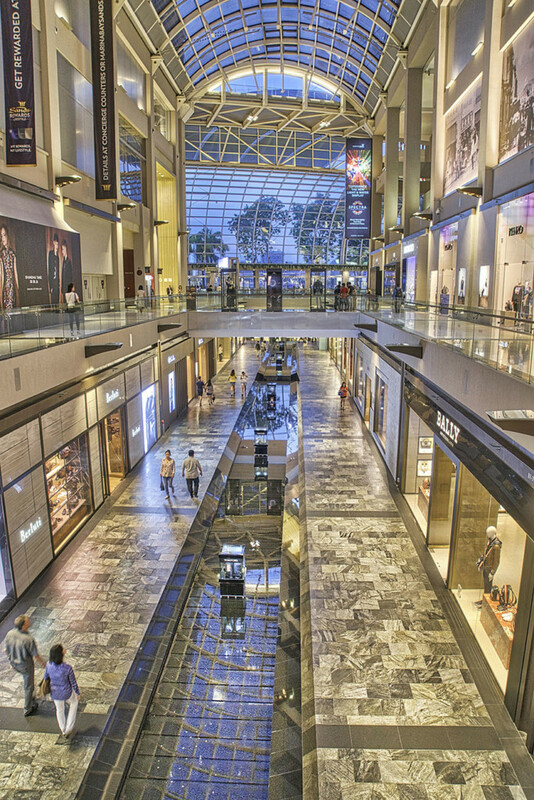 The shopping center has a water-canal inside, an architectural marvel with top-notch stores and excellent materials used for the interior accessories. I was standing on a bridge which connected to levels and placed my camera on the handrail to avoid camera shake. I can give you a tip, searching after a tripod replacement bears fruit often. Bars and pillars are perfect for this but are careful with concrete when placing a camera; it can scratch your camera ground.